New City Players will perform its 3 mainstage productions at The Vanguard, an intimate and versatile black box performance space located in the heart of downtown Fort Lauderdale. Don’t miss out on another show! 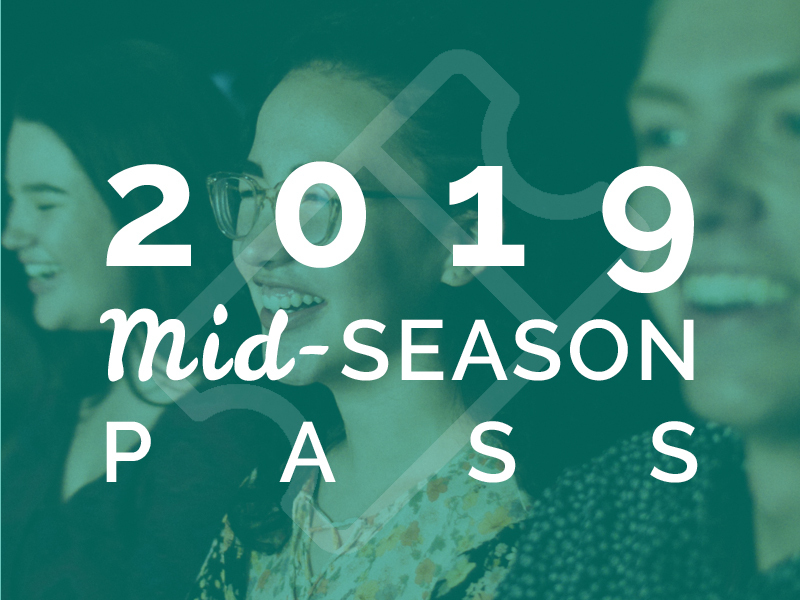 Season Pass includes: one (1) preferred seating ticket to each of the remaining 2019 Season productions: Macbeth, and Falling. Learn more about each show here. Buy your pass now and change your dates later if you need to! A brave Scottish general named Macbeth receives a prophecy from a trio of witches that one day he will become King of Scotland. Consumed by ambition and spurred to action by his wife, Macbeth takes the prophecy into his own hands…grasping the throne for himself. A tragedy exploring the very nature of greed, ambition, guilt, paranoia, and power as expressed in the human heart. The theatre opens 60 minutes before each start time. RUN TIME: 2 Hrs and is presented with one 15 minute intermission. There will be a talkback with the cast and creative team members immediately following each Sunday performance (8/18, 8/25, 9/1). For parties of 10 or more please contact Box Office Manager Dave Smith at dave@newcityplayers.org or 954.376.6114 to reserve our Group Rate Ticket. Based on the playwright’s own experiences, Falling boldly explores the dynamic and complicated reality of a family with a son, named Josh, who has autism. When a relative comes to visit, the entire family is thrown out of equilibrium, with each of them trying to balance what is best for the family, themselves, and Josh. The play poignantly speaks to the challenge of loving someone who is difficult to love. Please plan to join us after each performance for a talkback with the cast and creative team members, as well as community guests and professionals in the field of Autism Spectrum Disorders. New City Players offers one American Sign Language (ASL) Interpreted performance of Falling on Thursday, October 17. Guests who are deaf or hard-of-hearing are encouraged to purchase tickets for this performance by contacting the Box Office Manager, Dave Smith directly at dave@newcityplayers.org. ﻿1501 South Andrews Avenue, Fort Lauderdale, FL. To learn more about The Vanguard, please visit vanguardarts.org. Free Parking is available behind and adjacent to The Vanguard on 15th Street, additionally, there is a public parking lot just south of The Vanguard in between Bob’s News and Big C’s Pizza. Metered Parking is available along South Andrews Avenue. For any questions or concerns about the performance venue, parking, or accessibility, please contact Guest Experience Manager, Johnny Contini at Johnny@newcityplayers.org or 954.654.7136.